Janie Dee and George MacKay star as mother and son in Eugene O'Neill's comical portrait of a Connecticut childhood about a teenager navigating young love in his home town over the busy Independence Day weekend. 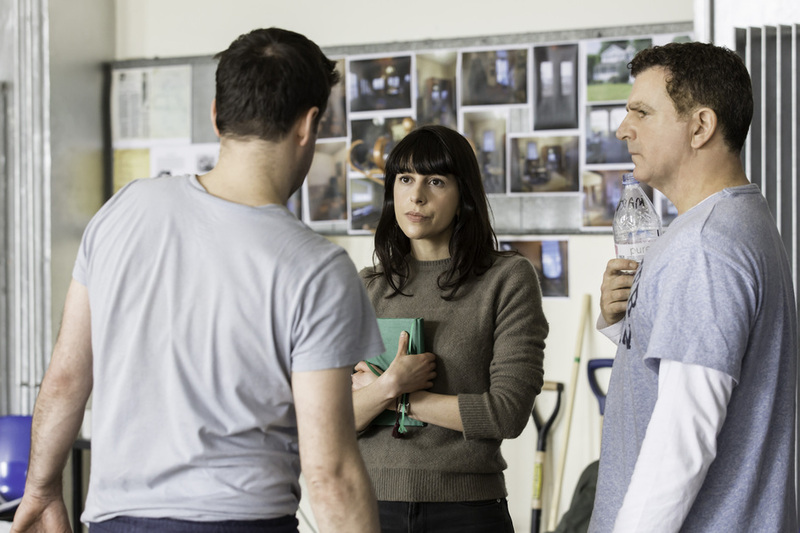 The Young Vic's artistic director, David Lan, described this "relatively obscure (in the UK at least)" comedy as "working drawings" for the playwright's later masterpiece, 'Long Day's Journey into Night' in an interview with the Financial Times. 157 Waterloo Road, SE1 | 2 minutes from Ah, Wilderness! 284-302 Waterloo Road, SE1 | 5 minutes from Ah, Wilderness! 2-8 Great Suffolk Street, SE1 | 6 minutes from Ah, Wilderness! Ah, Wilderness!, 103 The Cut, SE1 | 1 minute from Ah, Wilderness! Ah, Wilderness!, National Theatre, South Bank, SE1 | 8 minutes from Ah, Wilderness! Ah, Wilderness!, South Bank, SE1 | 8 minutes from Ah, Wilderness! 66 The Cut, South Bank, London SE1 | Same location as Ah, Wilderness! 83-101 The Cut, South Bank, London SE1 | 1 minute from Ah, Wilderness! 103 The Cut, South Bank, London SE1 | 1 minute from Ah, Wilderness! Sights and Attractions near Ah, Wilderness! The best museums, galleries, attractions near Ah, Wilderness! Westminster Bridge Road, South Bank, London SE1 | 6 minutes from Ah, Wilderness! 38-40 Glasshill Street, SE1 | 7 minutes from Ah, Wilderness! Upper Ground, South Bank, London SE1 | 7 minutes from Ah, Wilderness! The best shops and markets near Ah, Wilderness! 77 The Cut, South Bank, London SE1 | 1 minute from Ah, Wilderness! 22 Cornwall Road, South Bank, London SE1 | 3 minutes from Ah, Wilderness! Lower Marsh, South Bank, London SE1 | 3 minutes from Ah, Wilderness! What are the best dining options near Ah, Wilderness! London? 53 The Cut, South Bank, London SE1 | 1 minute from Ah, Wilderness! 33 The Cut, South Bank, London SE1 | 1 minute from Ah, Wilderness! 49 The Cut, SE1 | 1 minute from Ah, Wilderness! Restaurant deals near Ah, Wilderness! Elephant & Castle, Elephant and Castle, London SE1 | 12 minutes from Ah, Wilderness! Somerset House, Covent Garden, London WC2R | 13 minutes from Ah, Wilderness! 1 Sheffield Street, Holborn, London WC2A | 18 minutes from Ah, Wilderness! Ah, Wilderness! gyms, sporting activities, health & beauty and fitness. Lower Marsh, SE1 | 3 minutes from Ah, Wilderness! Upper Ground, South Bank, South Bank, London SE1 | 7 minutes from Ah, Wilderness! Sea Containers London, 20 Upper Ground, South Bank, London SE1 | 8 minutes from Ah, Wilderness! The best pubs near London Ah, Wilderness!. 36 The Cut, South Bank, London SE1 | 1 minute from Ah, Wilderness! 25 Roupell Street, South Bank, London SE1 | 3 minutes from Ah, Wilderness! 62 Stamford Street, South Bank, London SE1 | 6 minutes from Ah, Wilderness! Ah, Wilderness! clubs, bars, cabaret nights, casinos and interesting nightlife. Rooftop, Mercury House, 109-117 Waterloo Road, SE1 | 2 minutes from Ah, Wilderness! 47-51 Union Street, SE1 | 6 minutes from Ah, Wilderness! Hilton London Bankside, 2-8 Great Suffolk Street, SE1 | 6 minutes from Ah, Wilderness! Meeting venue hire near Ah, Wilderness! Where to have your meeting, conference, exhibition, private dining or training course near Ah, Wilderness!. South Bank, South Bank, London SE1 | 8 minutes from Ah, Wilderness! Southbank Centre, Belvedere Road, South Bank, London SE1 | 8 minutes from Ah, Wilderness! Venue Hire near Ah, Wilderness! Our recommendations in the same street as Ah, Wilderness! Alternate names and popular misspellings for Ah, Wilderness! Old Vic Theatre 1 minute walk from Ah, Wilderness! The Vaults 7 minutes walk from Ah, Wilderness! 26 Leake Street 7 minutes walk from Ah, Wilderness! Jerwood Space 7 minutes walk from Ah, Wilderness! National Theatre: Dorfman Theatre 8 minutes walk from Ah, Wilderness! National Theatre: Lyttelton Theatre 8 minutes walk from Ah, Wilderness! National Theatre: Dorfman 8 minutes walk from Ah, Wilderness! The Hayward Gallery 8 minutes walk from Ah, Wilderness! From cheap budget places to stay to luxury 5 star suites see our special offers for The Young Vic hotels, including Hilton London Bankside from 86% off.